Business VoIP is a Hosted PBX service that is becoming increasingly popular not only for small to medium sized companies, but now also large corporations. What is Business VoIP and a Hosted PBX? VoIP involves the delivery of voice over internet protocol. A VoIP phone for instance would be a phone that connects to the internet, and allows calls to be made over that internet connection. Business VoIP uses the same principle, but connects to a hosted PBX. This means that not only can voice calls be made over an internet connection, but you also get full PBX functionality. Many business features like Call transfers, music on hold, IVR, auto attendant, call divert etc are all a part of the service making our hosted PBX solution very much a business grade service. With business VoIP there is no need to purchase an on site PBX telephone system. Instead, you would access our Hosted PBX, almost like a cloud service of which you access via the internet. This means that with business VoIP there is very little or no CAPEX to take into account. Instead you pay a monthly license fee for the use of this service which of course is 100% tax deductible. Making this very much an economically viable option for businesses any size. But Is VoIP Safe for my Business? Business VoIP has been around for many years but has not always taken off the way most originally predicted. There’s been a lot of bad press with Business VoIP in it’s early days, the reason behind this tends to be the way the service is delivered to the end user. There were and still are thousands of companies out there accessing a Hosted PBX over unreliable connectivity and as a result end up with poor user experience and in most cases result in converting back to traditional telephony with an on site PBX. Ultimately, your connectivity is incredibly important to support any kind of cloud or VoIP service, whether that be Business VoIP, Cloud, Hosted PBX, SIP Trunking. They are all services that rely 100% on stable, reliable connectivity. That’s why At Your Telecom we will only suggest Business VoIP as a viable option if we can ensure it is delivered over a connection that is reliable enough to support to the service, preferably with adequate service level agreements. 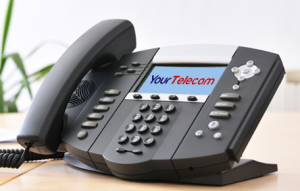 If you think business VoIP could be right for your organisation, or would like to find out if a hosted PBX is commercially viable compared to an on site system, then please call us on now or email solutions@your-telecom.co.uk!